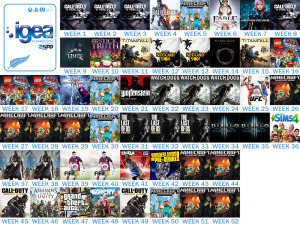 As per our previous post for Australia, the NPD data is in for 2014 so we thought it would be an ideal time to show you the best selling games in NZ at retail for the year. For some there would be a few surprise results (especially the number 1 across all platforms) and for those that have been following the charts, perhaps no surprises at all. Again, the Top 10 games sold this year shows the broad appeal of games to New Zealanders. The Top 10 covers a range of games that appeal to a range of audiences reflecting the fact that most New Zealanders play games.